Trade ‘Tighty Whities’ for TUKZ! "Tighty-whities" used to be a man’s all-purpose underwear. They were worn with business attire, sweat pants for tooling about the house or shorts while playing a pick-up basketball game, but they weren't always ideal for every function. 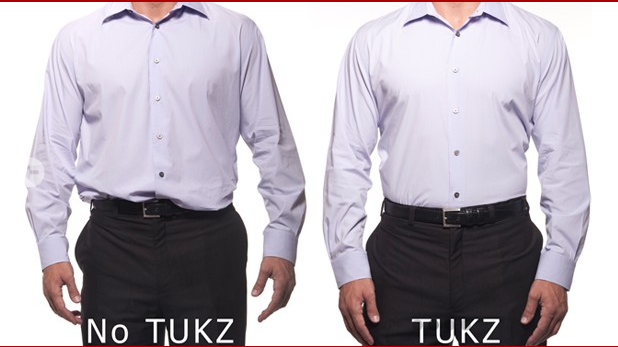 TUKZ features a 3-D pouch for comfort and an enhanced profile. But the primary defining innovation is how the underwear improves business attire. The underwear is equipped with four elastic straps and clips to neatly secure tucked shirts for a crisp, professional appearance all day. The minute my husband saw TUKZ, he absolutely LOVED the concept and knew he had to have a pair! He always had to have his shirts extra long because he hated having to make sure they stayed tucked in during the day! Now he never has to worry about this shirts staying tucked in or ask me 50 times an hour if his shirt is sticking out or untucked! He just simply clips them to his TUKZ underwear and he is totally set and is looking professional everywhere he goes and no matter what he does!! 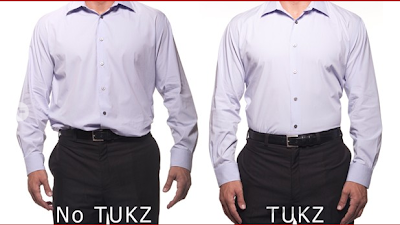 So if your husband/man is always complaining about untucked shirts or he wants to look professional at all times, get him a pair of TUKZ today! Buy It: You can purchase one pair of TUKZ for $30.00 on the TUKZ website.